Africa is the most poverty stricken of all the world’s continents, with approximately 750 million subsistence farmers, who are living undernourished and degraded lives where their current crops yields cannot even provide for their families requirements. Billions of dollars stream into Africa every year and yet the poor are getting poorer and the numbers of poor people are increasing. The Word of God says in Hosea 4:6 ‘My people perish because of a lack of knowledge.’ So can there be a solution to this crisis? We believe that Farming God's Way is part of God's solution for Africa, where it can be turned around from being the "begging bowl" to the "breadbasket of the world". Farming God's Way is simply a tool of equipping to empower the poor to help themselves. Farming God's Way was originated before man was on the face of the earth, when God first put His ways in place to govern His creation and their interrelations with one another. God is the master farmer who has been farming this way since the beginning and by simply following His Ways, amazing solutions to the food security and poverty crisis can be revealed. Farming God’s Way is not just a technology, but a well-balanced biblical, management and technological solution for the agricultural domain, to come out of poverty with what God has put in their hands, and to reveal the fullness of His promised abundant life. God’s Word brings the revelation and enlightenment that the yoke is first and foremost a spiritual yoke. If we only deal with the technical and management keys we will not be able to deliver the poor. 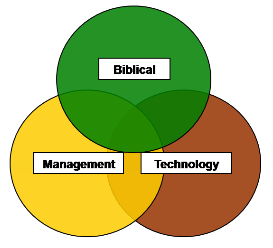 We teach six major biblical keys to unlocking the potential of the land and its people. We have to teach the poor to make a sustainable profit for them to come out of poverty. Farming God’s Way has a proven track record of success since 1984, when Brian Oldreive first pioneered these practices on Hinton estate in <?xml:namespace prefix = "st1" ns = "urn:schemas-microsoft-com:office:smarttags" />Zimbabwe on a largescale commercial farm, eventually cropping 3,500 hectares. 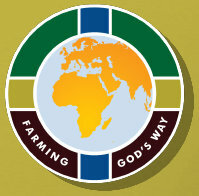 Since then Farming God's Way has spread into many countries, being extended by farmers, churches, missionaries and NGO’s across Africa and into other parts of the world. See Testimonies for some information on how the promised abundant life in Christ is being revealed in Spirit and truth. Farming God’s Way is a free gift given to the wider body of Christ and is a non denominational, non organisational, relational network of people, who share a deep heartfelt consideration for the poor. For more information please see the free manual downloads on the Resources tab.